Earth Day is 24 hours dedicated to thinking of the environment, but saving the planet takes more than a day. Here are some of the ways you can start helping the environment locally year-round. WASHINGTON — Earth Day is dedicated to thinking about the environment, but saving the planet takes more than 24 hours. Good things take effort all year, and professionals in the field of environmentalism shared some tips on how to do good locally. There’s more you can do to celebrate the beautiful planet we call home than simply using a reusable water bottle. Here are some ideas on how to celebrate Earth Day 2018 this weekend. There’s a lot of plastic in our world and due to the genius of the product, it doesn’t break down. Great for when you want a sturdy container, not so great when you’re done with it. After you’ve tossed your take-out or water bottle, the plastic moves into our oceans and forests, where it then releases toxins that contaminate our water and soil, as well as harms the animals, according to the World Wildlife Fund. And unfortunately, recycling plastic doesn’t really help. The amount of energy it takes to recycle plastic — the electricity, water and manpower — counteracts the good deed. But thankfully, it’s easy to move away from plastic. Instead of using plastic versions of items, consider purchasing a reusable water bottle and reusable grocery bags. Say no to plastic straws and disposable cutlery. And avoid food packaging at grocery stores with the things you can, like fruit and vegetables in the produce aisle. Think of all the electricity and energy you use in your home: the lights in every room, the thermostat blowing hot or cold air, the hot water used by your dishwasher, washing machine and sinks and showers. That’s a lot of greenhouse gases being emitted from your local power plant. But there are ways to cut back. The first and easiest step? Turn off the lights and thermostat when not in use! Another step? The EPA says look for the “Energy Star” label on appliances and other electric products to ensure that your product is using less energy. And insulate your home, so cool air doesn’t escape in the summer, or cold air doesn’t creep in, in the winter. You can even take it a step further and look into renewable-energy alternatives, such as solar and wind power. We get it. The 15-minute walk to the bus stop feels like a trek up Mount Everest in the early mornings, especially in the colder months. But public transport helps bring down your carbon footprint exponentially. Also, the meat factories and large corporations you’re buying from? Probably not doing the atmosphere any favors either, according to Greenpeace. Trying Meatless Mondays and really thinking if you need that extra pair of shoes could help the planet in small but significant ways (one of the important R’s is reduce). And your wallet will thank you, too. That important R-word is coming back with vengeance: reduce, reduce, reduce. Imagine if you were to grab a plastic water bottle, for instance, and toss it into the trash can without even taking a sip. You’re essentially supplying the demand for factory farming and large gas-guzzling grocery trucks. And all the food you toss ends up in landfills, where it never meets soil again and emits methane gases as it rots, according to the EPA. Composting is a great way to combat food waste. Instead of tossing the scraps from your salad into the trash, putting them aside in a separate small bin can make great compost week after week. Once added to soil, it’s basically like gold to your plants and herbs. Nothing can make you feel more put-together than waking up on the weekend and going to a farmer’s market. Lugging home (reusable!) bags of fresh produce from local farmers is a great way to ensure you’re eating healthy and organic. But did you know you’re also helping the environment by doing so? When you buy ingredients from a grocery store, the items often have to travel in large, gas-guzzling trucks to get there, and often come from corporations that devastate our forests and use large amounts of pesticides to ensure freshness, according to the EPA. Visiting your local farmer’s market has other great perks, too: more bang for your buck, local economy benefits and pesticide-free strawberries. You can’t make changes if you don’t know what’s going on. Admittedly staying informed is hard. There’s always a new study to read or new cause to get behind. But don’t get overwhelmed. One tip is finding an environmental organization you like and trust (like WWF or NCPA), and signing up for their newsletters. Reducing your own carbon footprint is important, but a large portion of the damage done to the environment is outside of our control. It’s corporations and factories regulated by the government that ultimately do the most damage to our climate via forest destruction, factory farming and other large, carbon-emitting ventures. So what’s an environmentally conscious person to do? For one, your vote matters. Looking into what each candidate says about climate change or environmental efforts is important. But even between elections, representatives are meant to serve you. The power of a phone call cannot be underestimated. Read up on policies dedicated to the environment and call your representatives, demanding action. Sometimes things can seem bleak for the state of our environment, but thankfully, there are a lot of national and international environmental groups doing the important work. 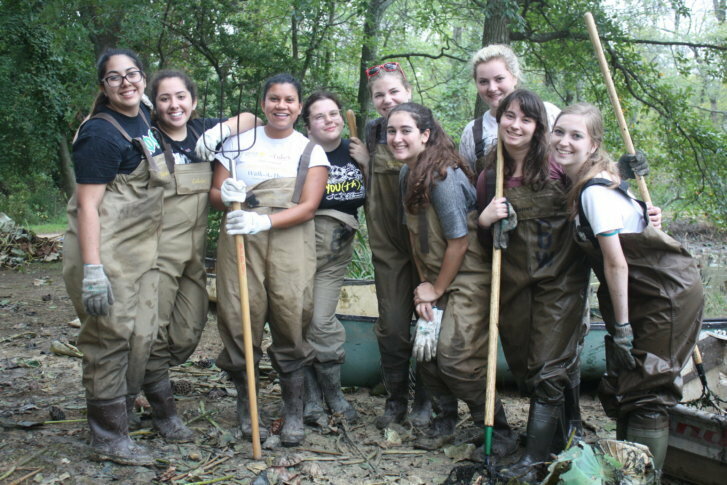 And many of these groups have local chapters that focus on local environmental issues and host volunteer events. After all, global change starts in your backyard. WWF started an advocacy panel last year called the Panda Ambassador Program, which helps people lobby and get involved in policy and advocacy issues revolving around the wildlife near home. NCPA has an email list you can join, where you’ll be alerted to ways to take action in your region via your inbox. Of course, there’s nothing like getting in there and getting your hands dirty. Cleaning up a local park or body of water is a sure way to show yourself just how much pollution there is in our world, and just how much work needs to be done. And most of us could give a morning up for the sake of the environment (the labor could count as your workout for the day — two birds, one stone). Again, joining local chapters of these national organizations is a great way to stay informed and involved in environmental causes. 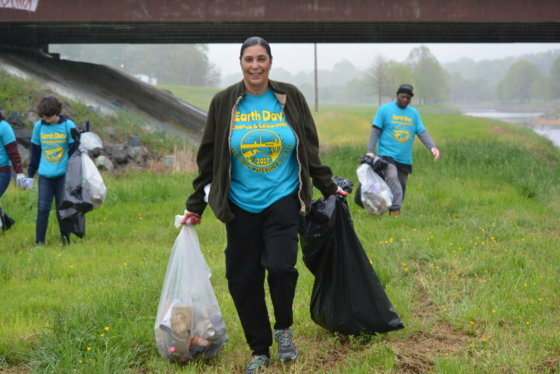 But most cities — like Arlington, Virginia, for example — have volunteer opportunities listed on their websites as well, many in line with their parks and recreations departments. It’s a great way to do the work on a local scale and serve your community, while knowing your help is sustaining a better environment globally for the next generation. For more information about WWF, you can visit their website or follow their Facebook page and Twitter. For more information about NPCA, you can visit their website or follow their Facebook page and Twitter. You can also find “10 Ways to be a Park Advocate” on the NPCA site.